This was taken with a wider angle lens then the other shot. If you look at the shadows they are converging at the end of the lake. Shortly after this photo, the sun come up over the hills east to light up the entire valley. This is a very beautiful spot and i was blessed with no wind. 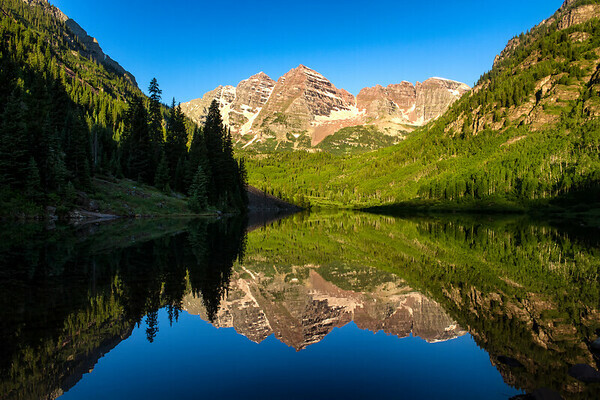 Maroon Bells is just outside of Aspen, Colorado and no i didn't see any celebraties up early taking photos.